Advances in the biology and conservation of marine turtles. Within-colony spatial segregation leads to foraging behaviour variation in a seabird. Calling phenology of a diverse amphibian assemblage in response to meteorological conditions. Ecological and evolutionary significance of a lack of capacity for extended developmental arrest in crocodilian eggs. Williamson, S.A., Evans, R.G., Manolis, S.C., Webb, G.J., Richard D. Reina, R.D. 2017. Ecological and evolutionary significance of a lack of capacity for extended developmental arrest in crocodilian eggs. Royal Society Open Science. doi: 10.1098/rsos.171439. Hypoxia as a novel method for preventing movement-induced mortality during translocation of turtle eggs. Rafferty, A.R., Johnstone, C.P., Garner, J.A., Reina., R.D. 2017. A 20-year investigation of declining leatherback hatching success: implications of climate variation. The Royal Society Open Science 4 170196. doi: 10.1098/rsos.170196. Evaluating time-depth recorders as a tool to measure the behaviour of sharks captured on longlines. Prenatal stress from trawl capture affects mothers and neonates: a case study using the southern fiddler ray (Trygonorrhina dumerilii). 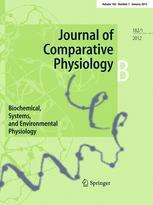 The physiological response and immediate mortality of gillnet-caught blacktip reef sharks, Carcharhinus melanopterus. Dapp, D.R., Huveneers, C., Walker, T.I., and Reina, R.D. 2017. 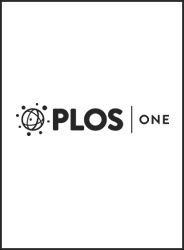 The physiological response and immediate mortality of gillnet-caught blacktip reef sharks, Carcharhinus melanopterus. Marine & Freshwater Research. doi:10.1071/MF16132. Are we working towards global research priorities for management and conservation of sea turtles? Hematology and Serum Biochemistry for Free-ranging Freshwater Crocodiles (Crocodylus johnstoni) in Western Australia. Temperature Insensitivity and Behavioural Reduction of the Physiological Stress Response to Longline Capture by the Gummy Shark, Mustelus antarcticus. Short-and long-term consequences of developmental saline stress: impacts on anuran respiration and behaviour. Moving from measuring to predicting bycatch mortality: predicting the capture condition of a longline-caught pelagic shark. The adenylate energy charge as a new and useful indicator of capture stress in chondrichthyans. Respiratory mode and gear type are important determinants of elasmobranch immediate and post-release mortality. Fine-scale dietary changes between the breeding and non-breeding diet of a resident seabird. Kowalczyk, N.D., Chiaradia, A., Preston, T.J., and Reina, R.D. 2015. Fine-scale dietary changes between the breeding and non-breeding diet of a resident seabird. Royal Society Open Science 2, DOI 10.1098/rsos.140291. Environmental variability drives shifts in the foraging behaviour and reproductive success of an inshore seabird. Kowalczyk, N.D., Reina, R.D., Preston, T.J., and Chiaradia, A. 2015. Environmental variability drives shifts in the foraging behaviour and reproductive success of an inshore seabird. Oecologia DOI 10.1007/s00442-015-3294-6. The impact of extended pre-ovipositional arrest on embryonic development and hatchling fitness in the flatback sea turtle. Selective foraging within estuarine plume fronts by an inshore resident seabird. Kowalczyk, N.D., Reina, R.D., Preston, T.J., and Chiaradia, A. 2015. Selective foraging within estuarine plume fronts by an inshore resident seabird. Frontiers in Marine Science DOI 10.3389/fmars.2015.00042. Human-Assisted Invasions of Pacific Islands by Litoria Frogs: A Case Study of the Bleating Tree Frog on Lord Howe Island. Reina, R.D., Mayor, P.A., Spotila, J.R., Piedra, R., Paladino, F.V., 2002, Nesting ecology of the leatherback turtle, Dermochelys coriacea, at Parque Nacional Marino Las Baulas, Costa Rica: 1988-1989 to 1999-2000, Copeia, vol 3, American Society of Ichthyologists and Herpetologists, New York NY USA, pp. 653-664. 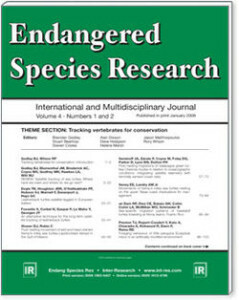 Reina, R.D., Jones, T.T., Spotila, J.R., 2002, Salt and water regulation by the leatherback sea turtle Dermochelys coriacea, Journal of Experimental Biology, vol 205, Cambridge University Press, Cambridge, pp. 1853-1860.